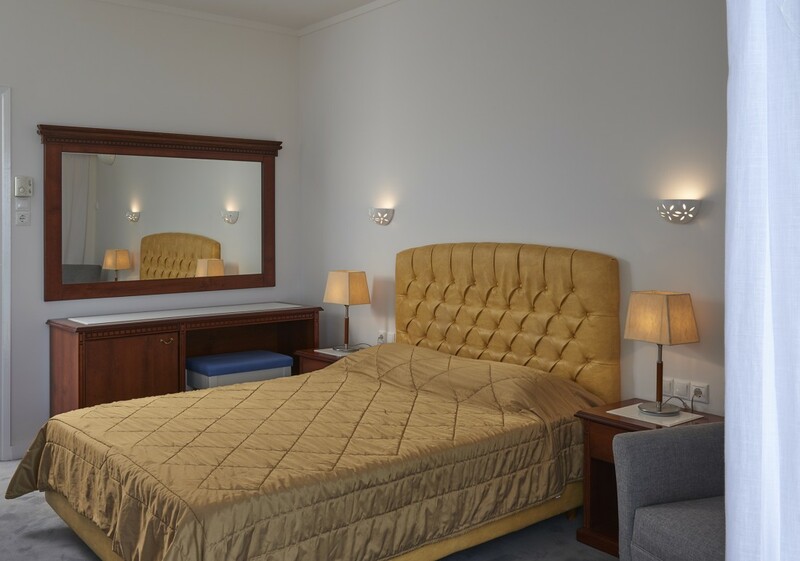 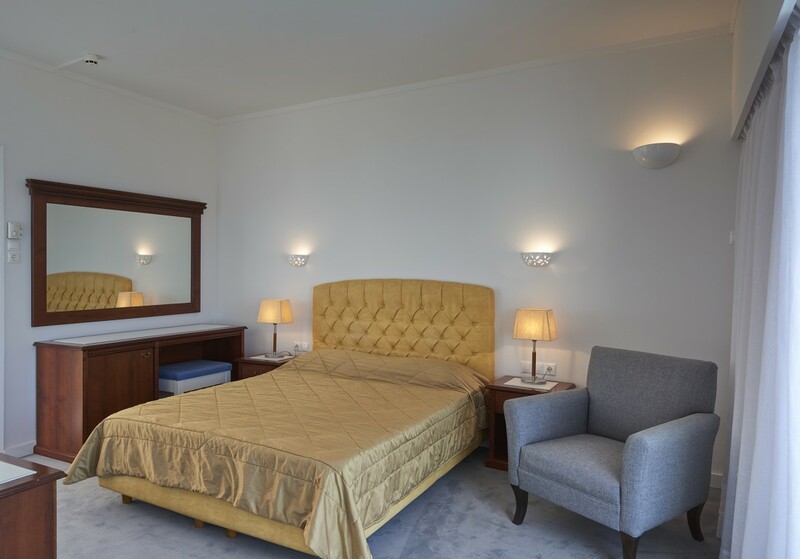 The Superior double rooms are in the main building with side sea and garden view, marble bathroom, double bed or two twin beds. 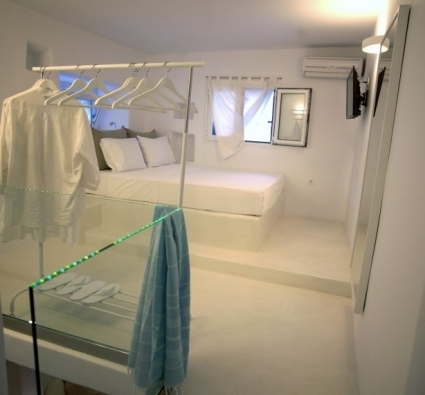 There is possibility of a third bed. 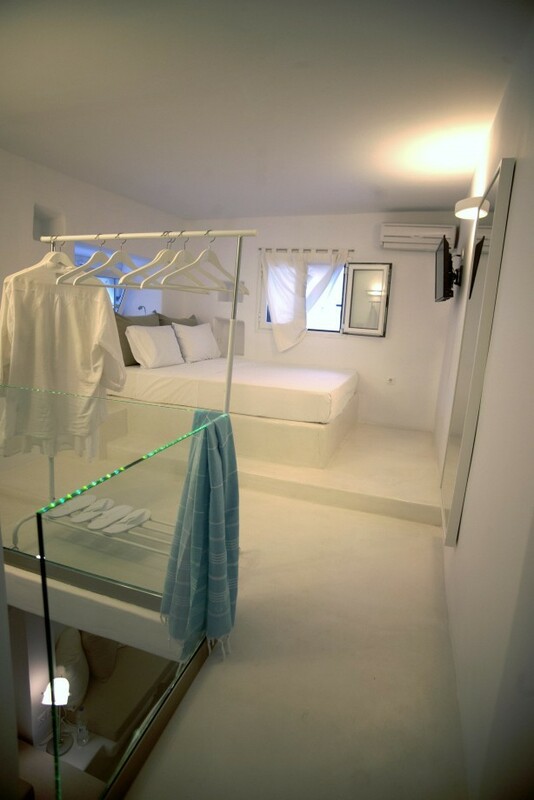 up to 3 / guests 20 / sq.m. 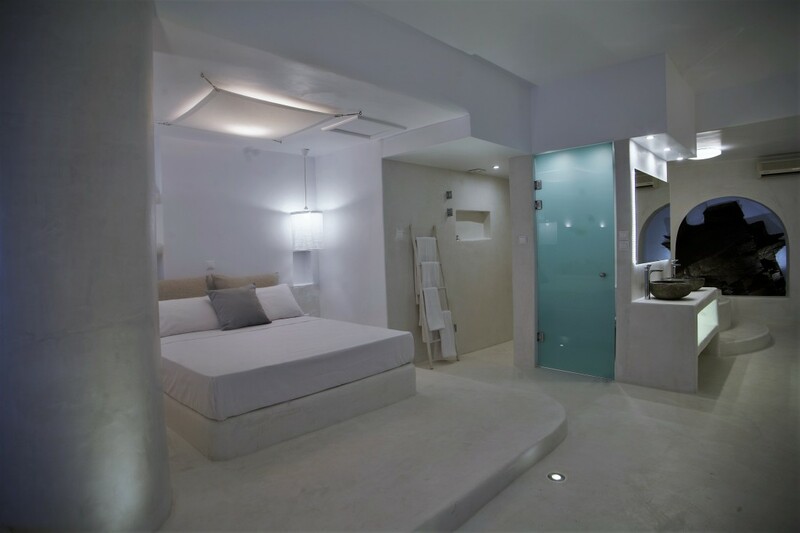 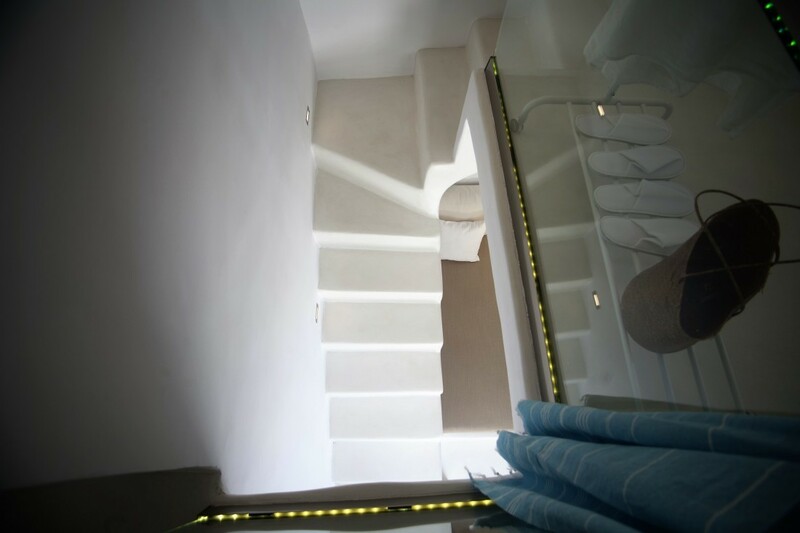 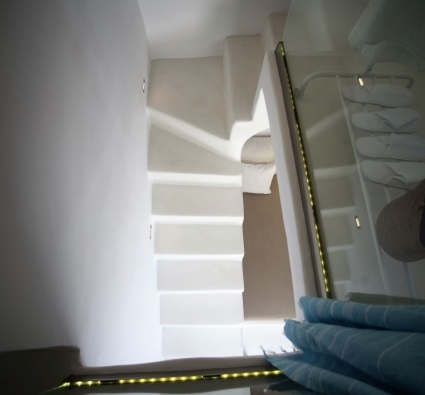 The suites can accommodate a third and fourth person on the living room of each suite which is separated from the bedroom using an inside door. 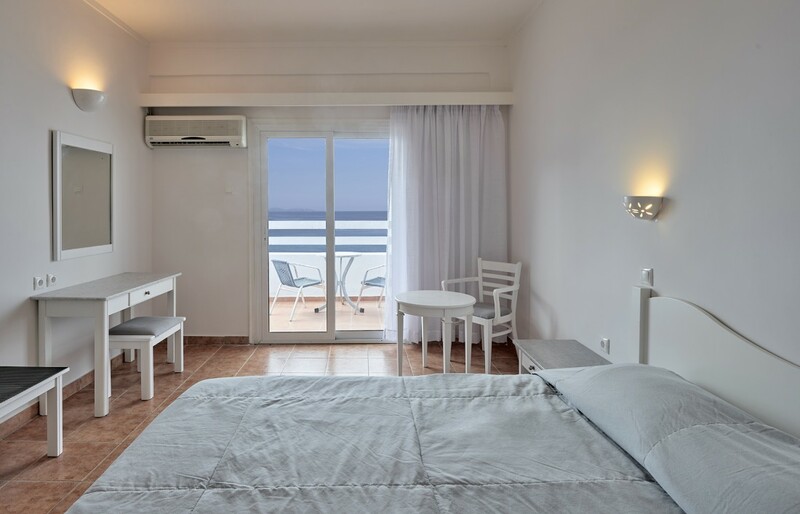 2 + 1 / guests 39 / sq.m. 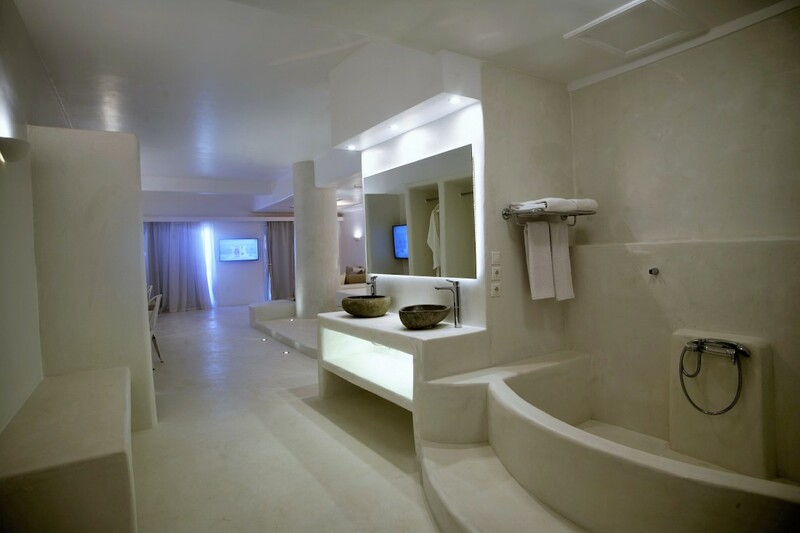 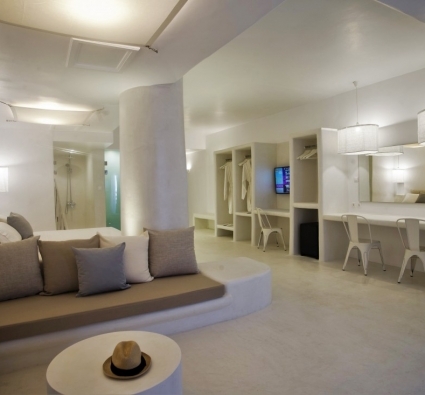 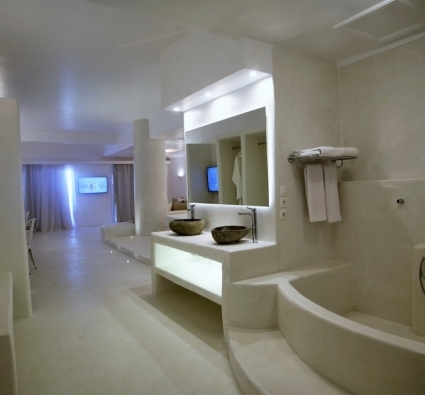 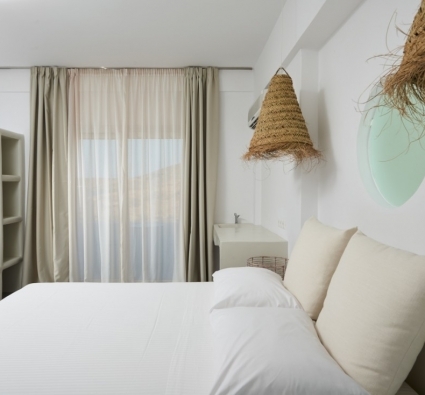 You will find our brand new Aegean rooms in the main building of the complex . 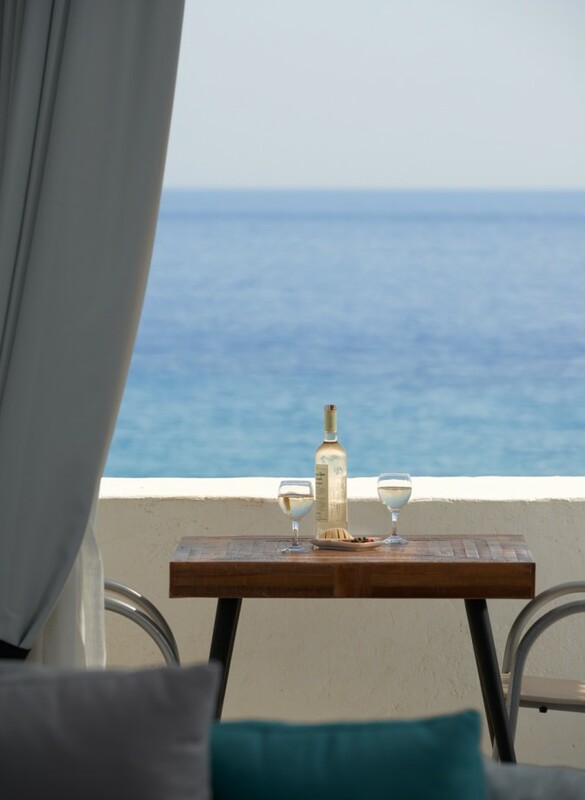 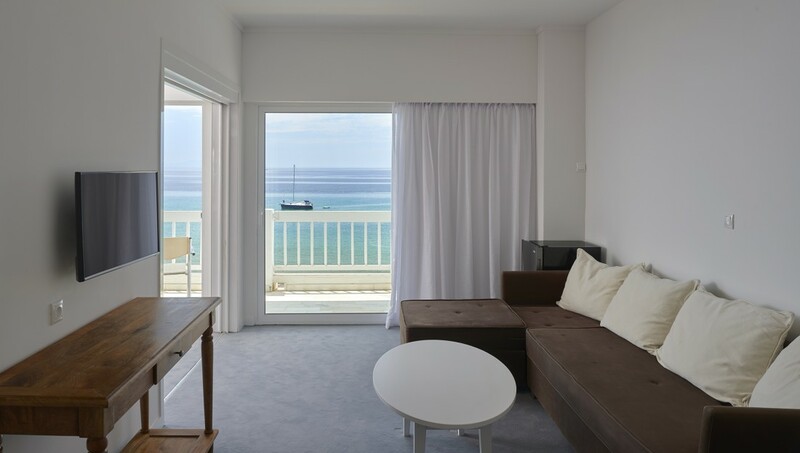 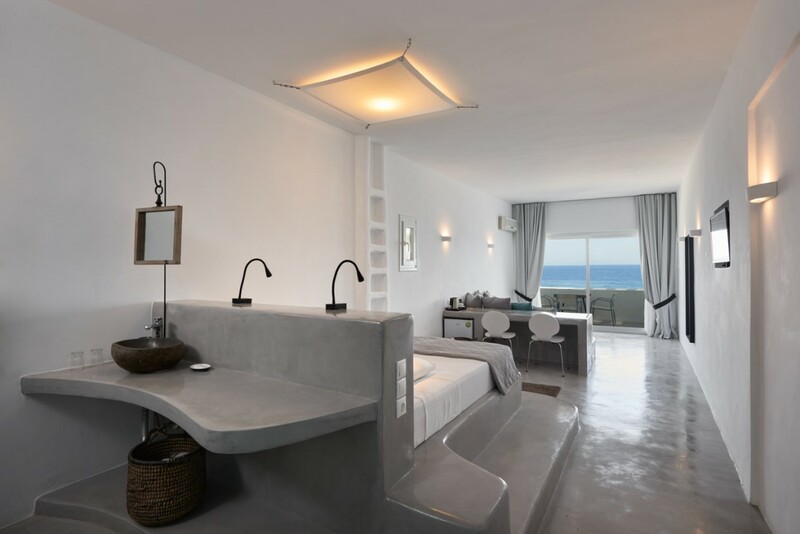 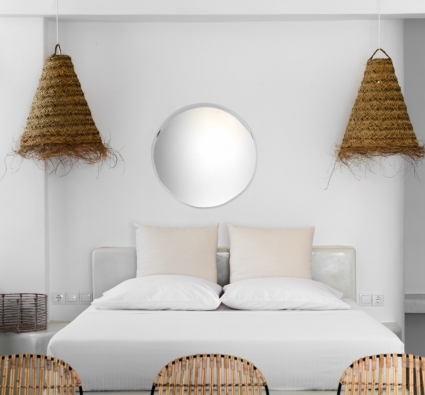 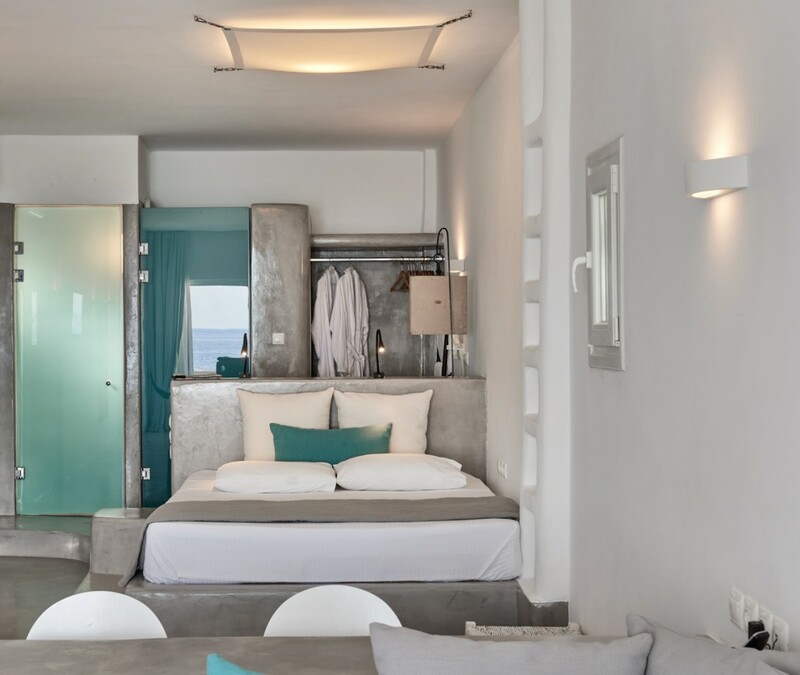 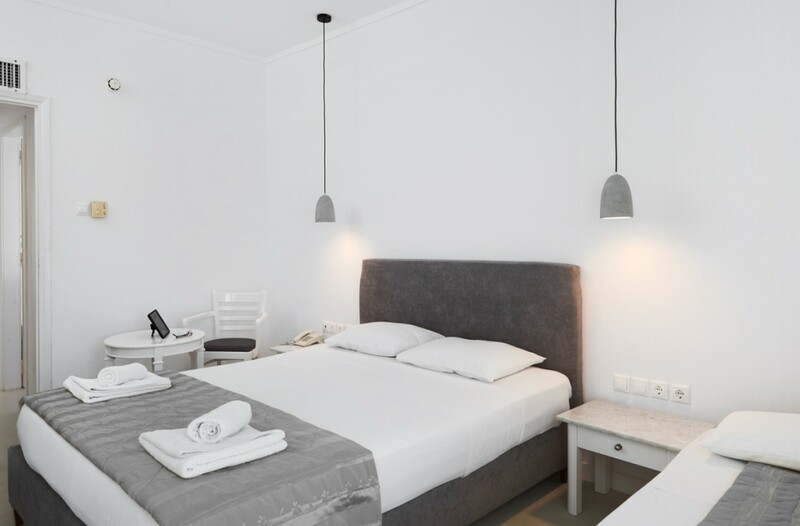 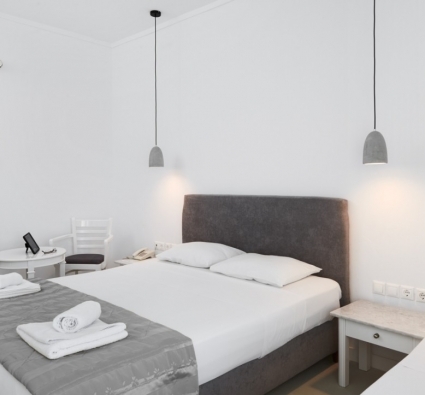 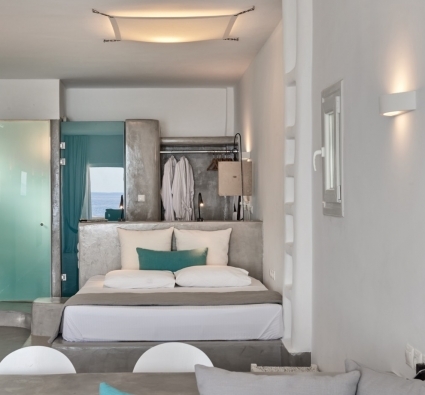 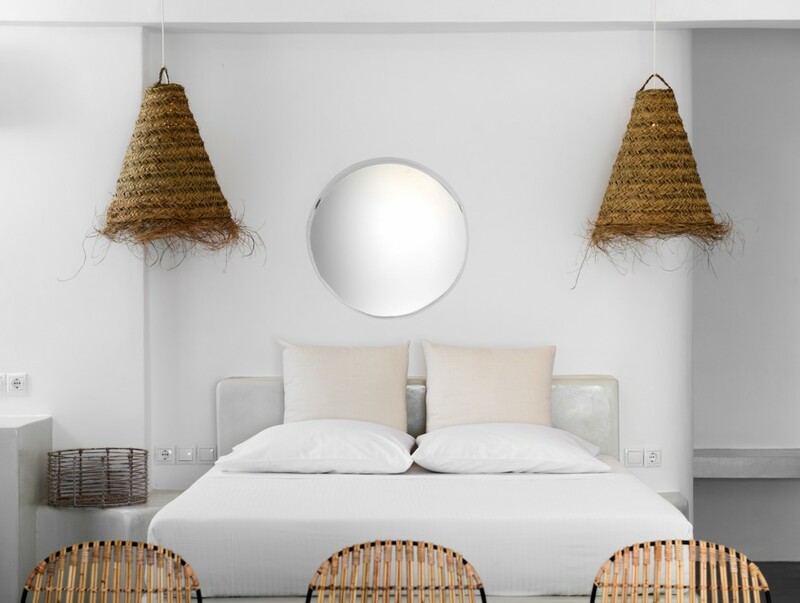 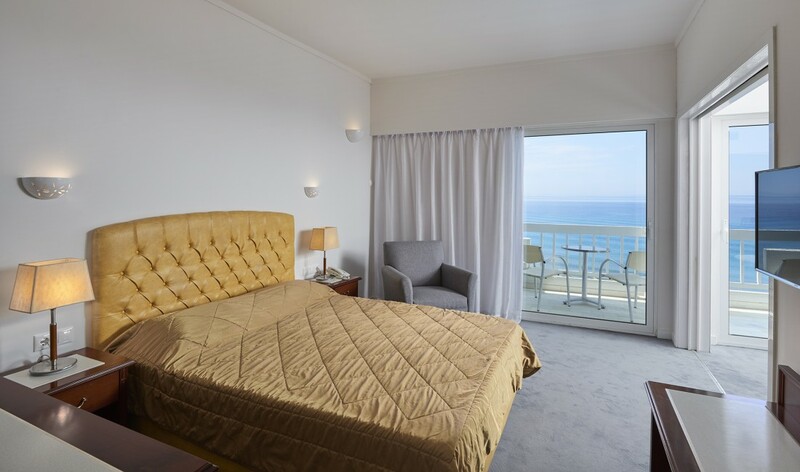 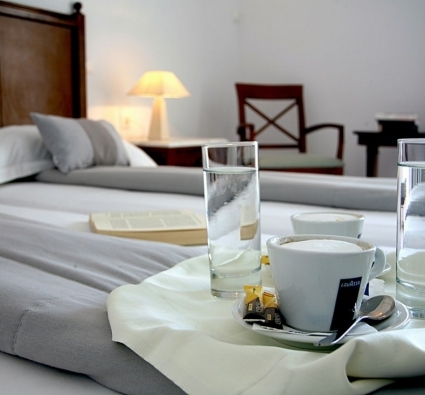 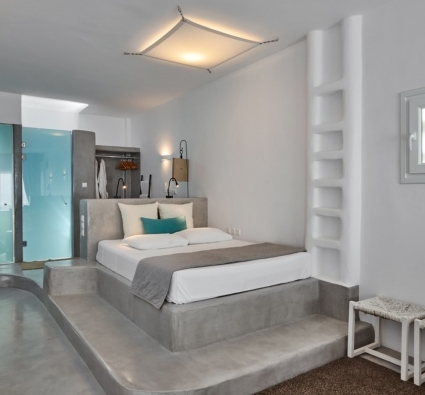 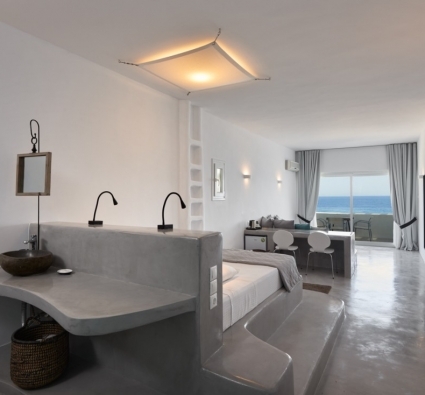 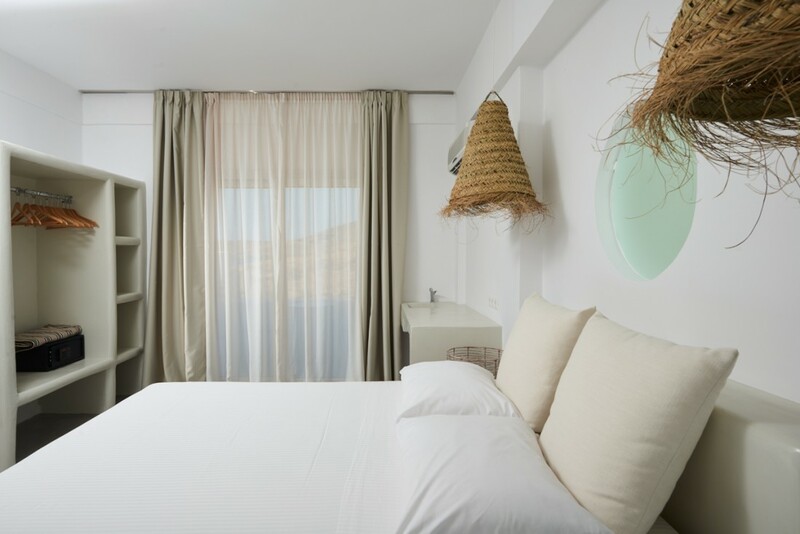 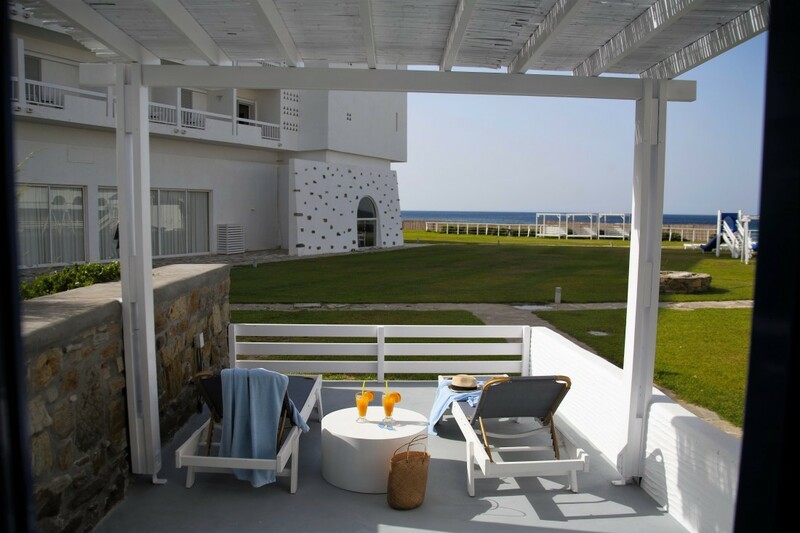 They are characterized by stunning direct views of the Aegean sea and a minimal white esthetic.Recently renovated, our Aegean rooms are furnished with double or twin beds with the option of an additional bed. 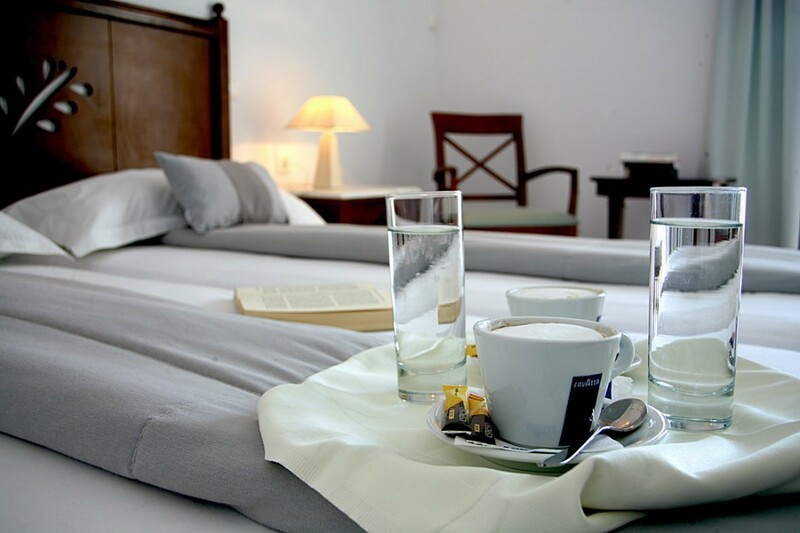 Room service available between 9.00-23.00. 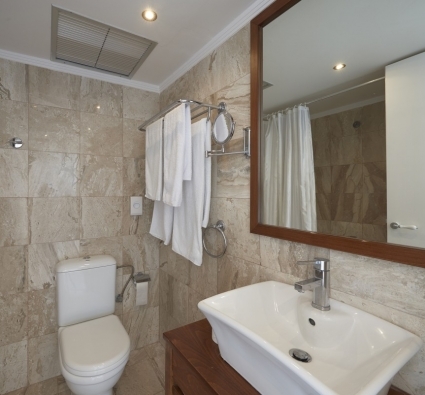 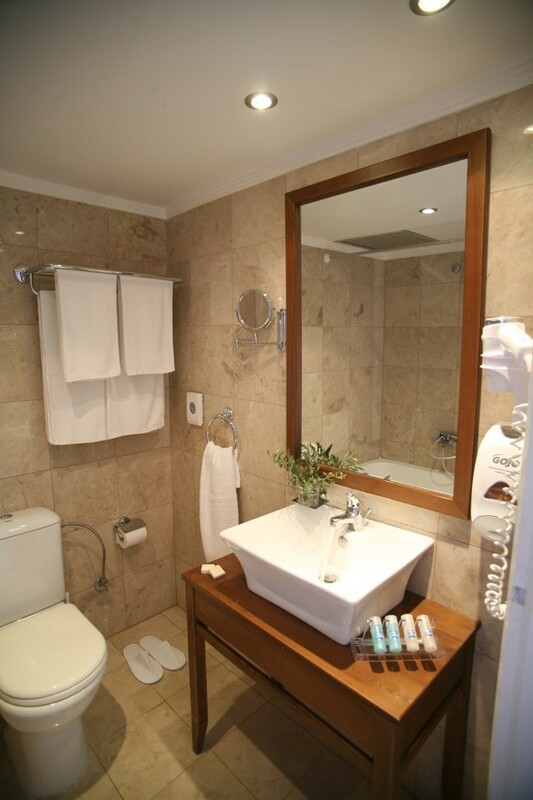 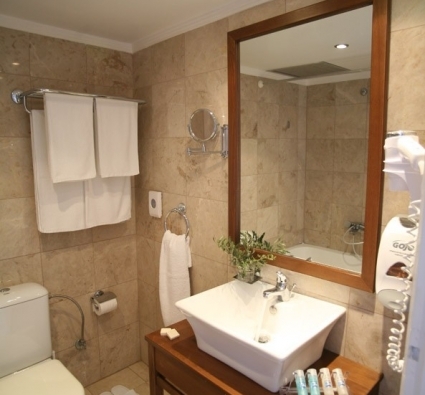 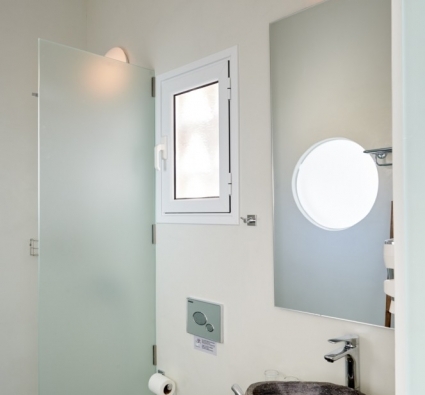 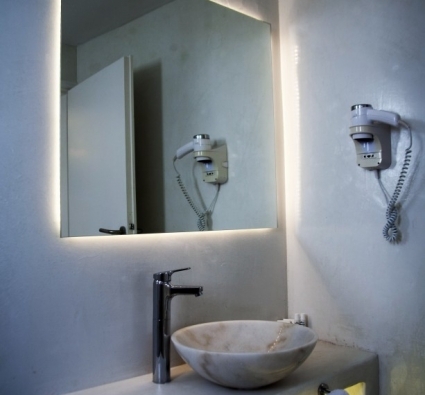 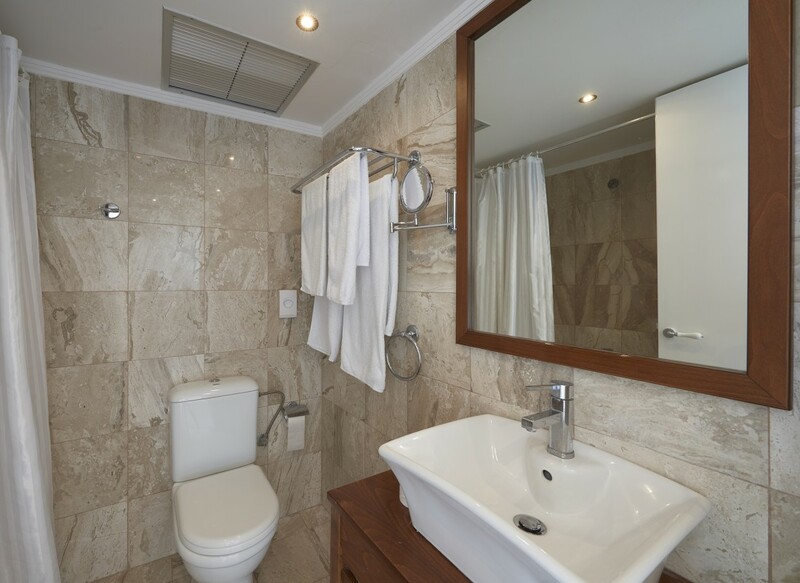 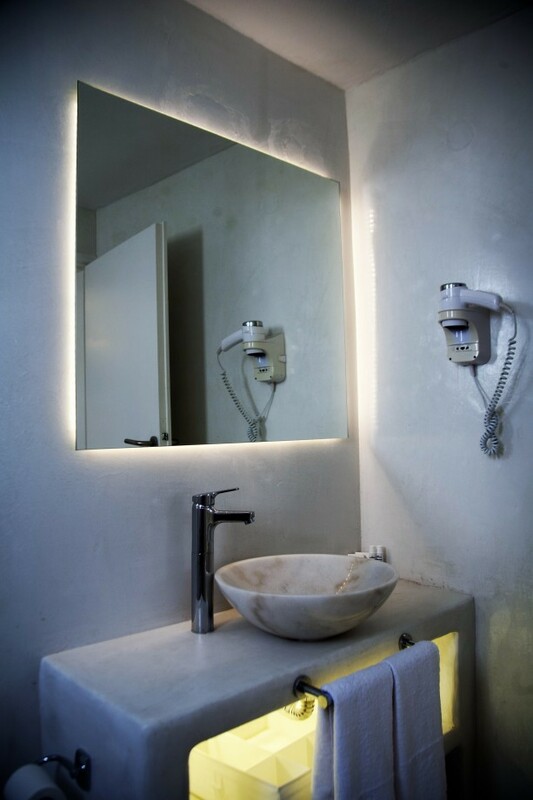 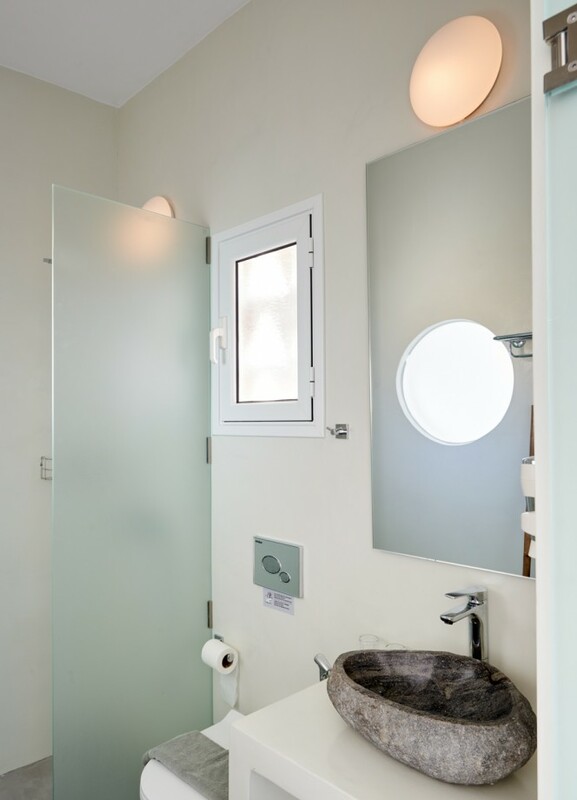 Air conditioning is continuous central (fan coil), the bathroom has a hairdryer, individual slippers & bathroom amenities. 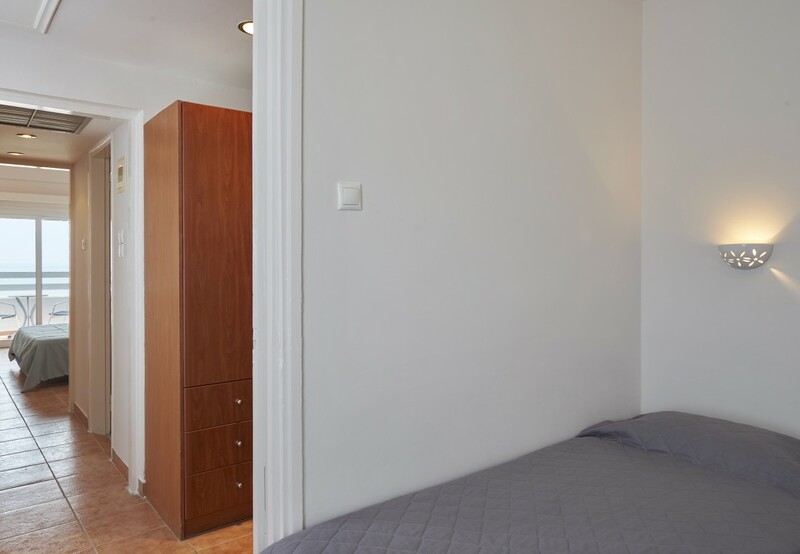 2 + 1 / guests 20 / sq.m. 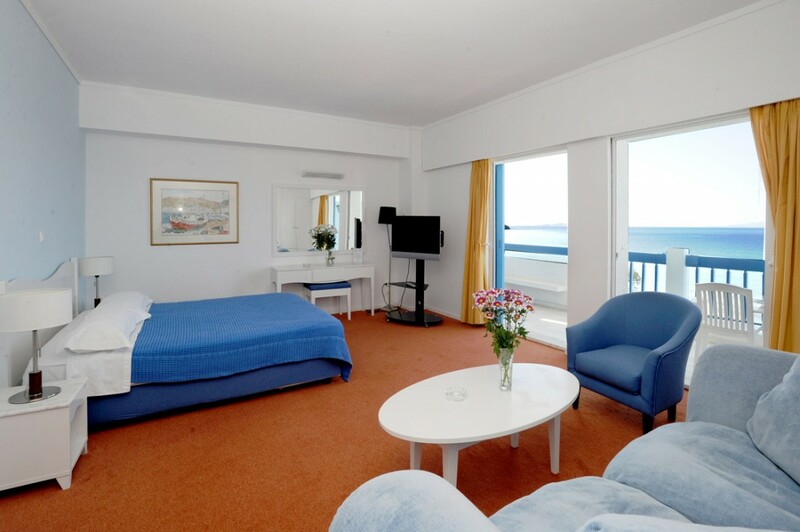 All of our family rooms are found in the three buildings next to the central building. 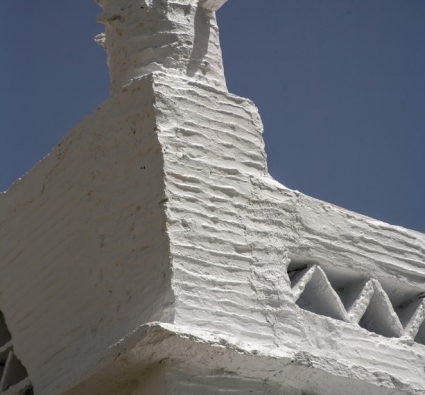 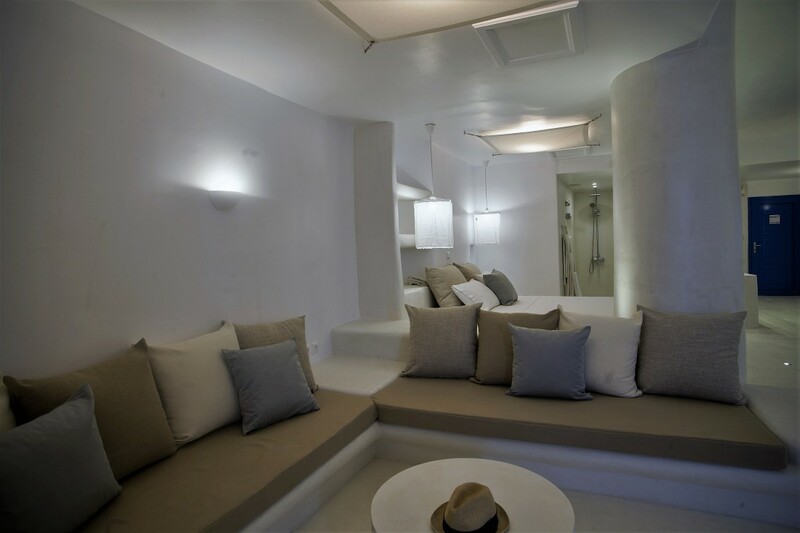 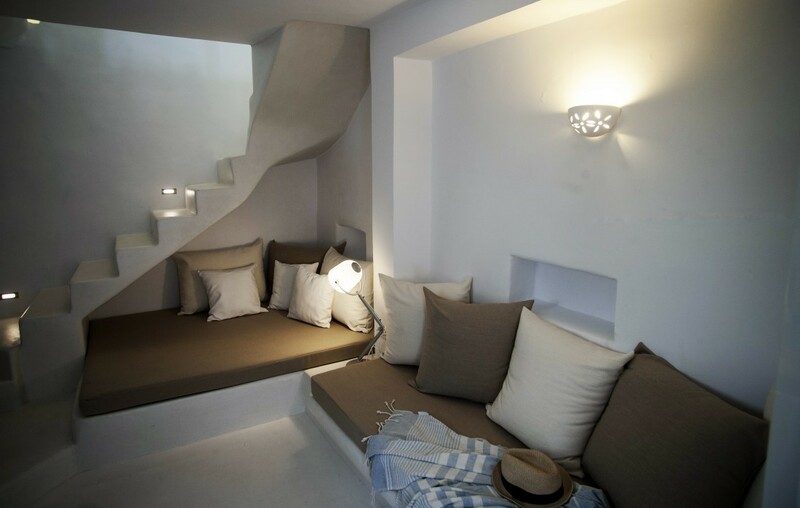 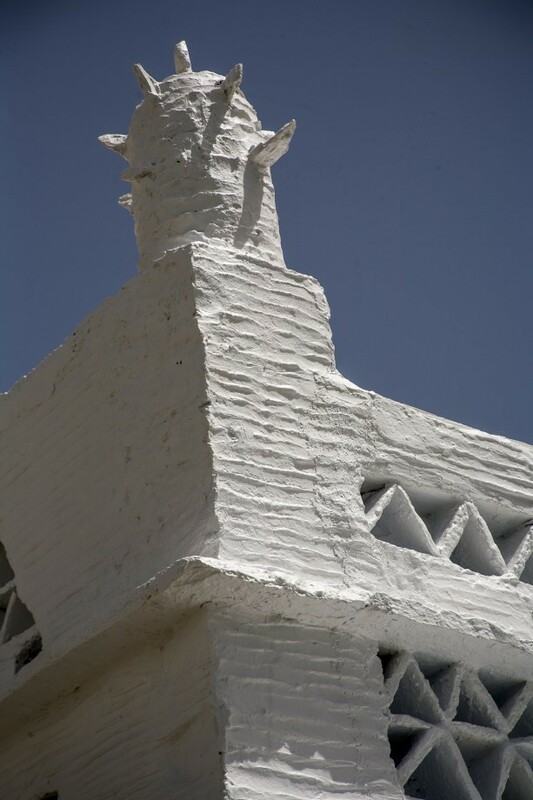 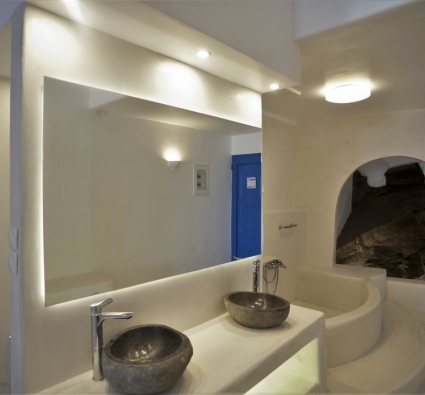 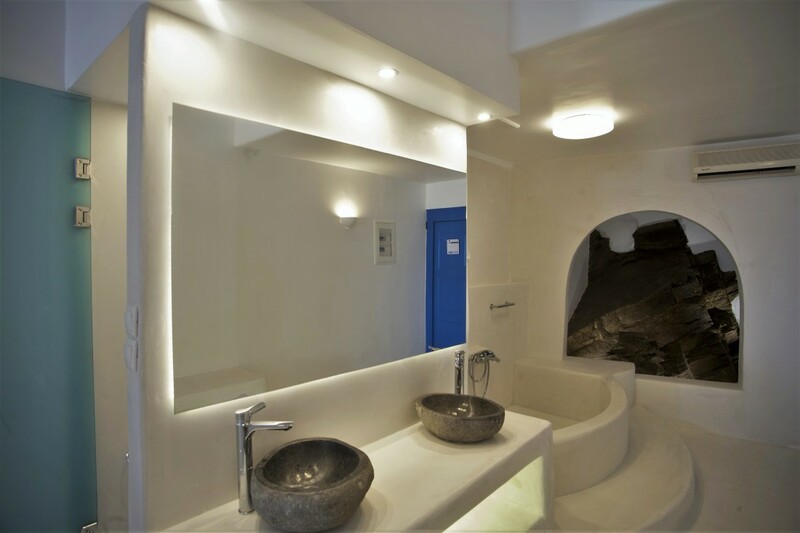 These buildings are characterized by a traditional cycladic architecture and open pathways. 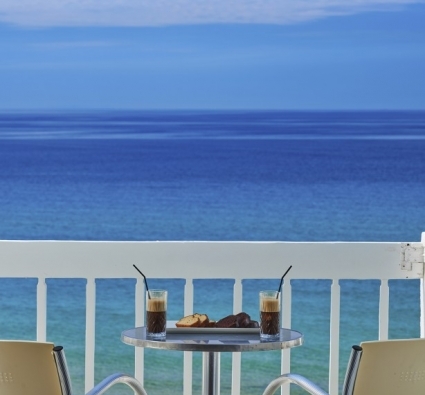 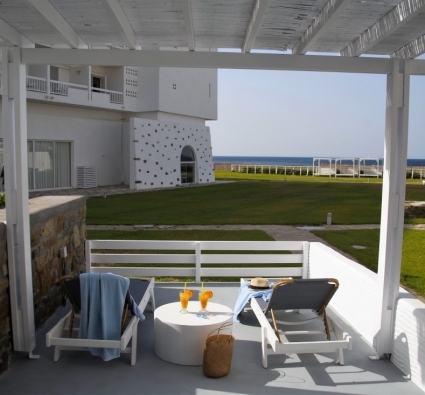 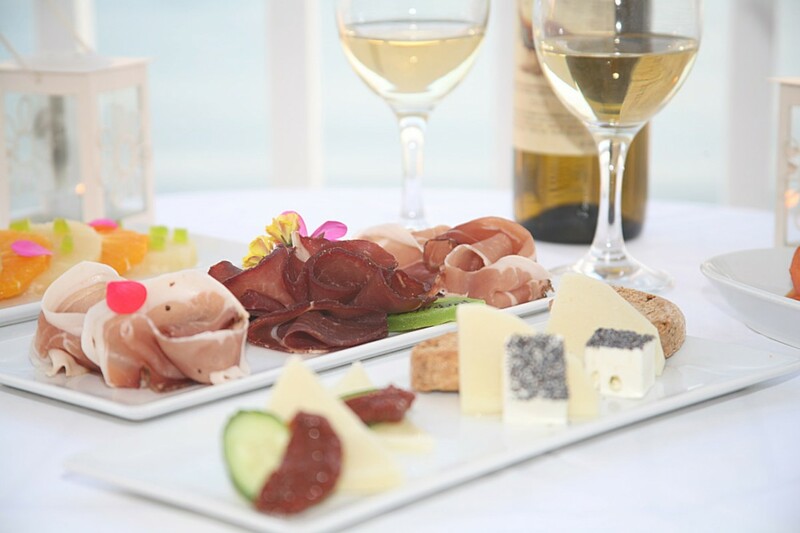 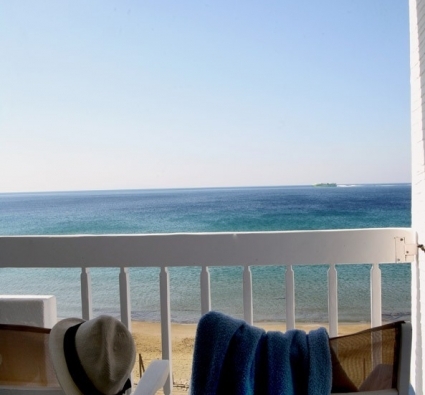 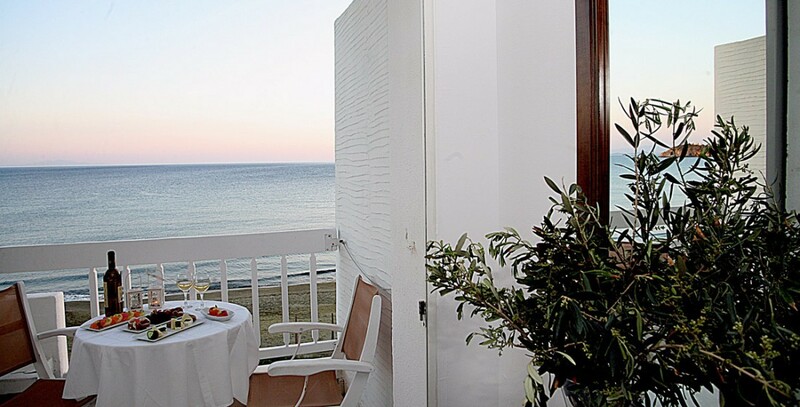 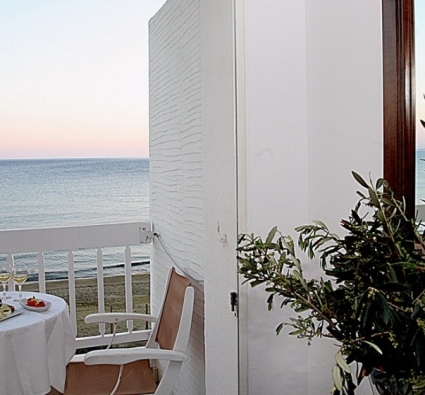 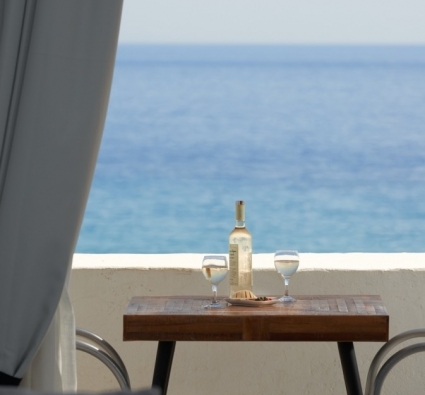 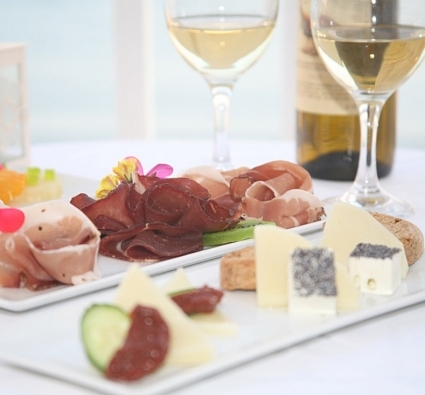 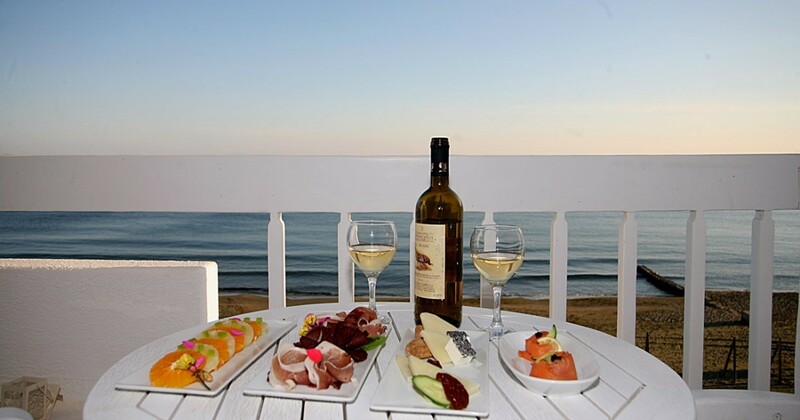 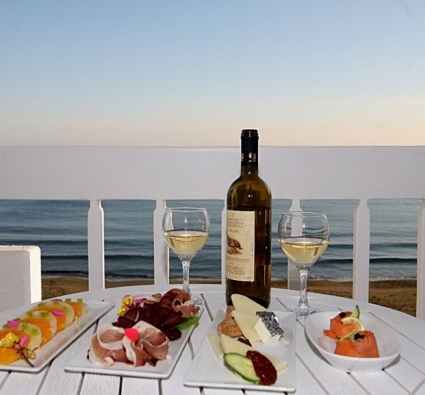 All rooms enjoy direct sea with a comfortable balcony protected by a pergola. 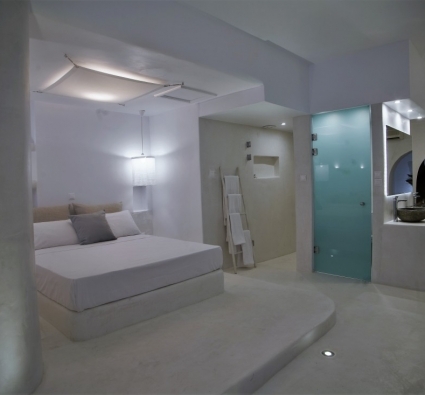 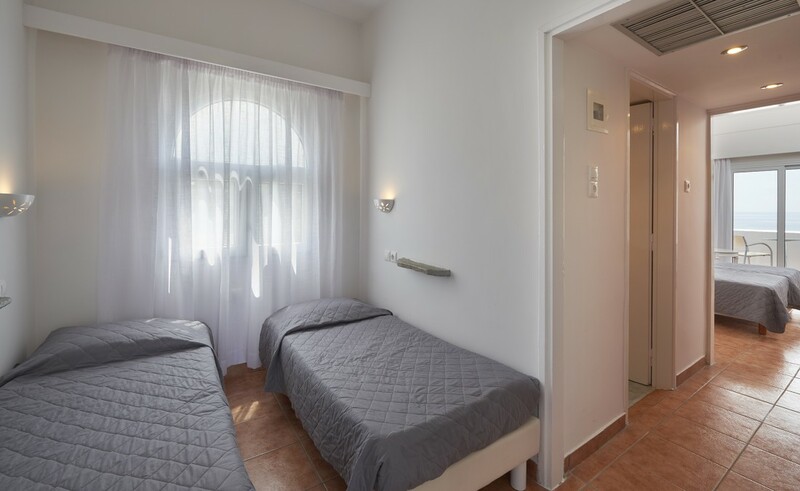 Family Rooms are rooms with two bedrooms separated with a inner corridor and a door. 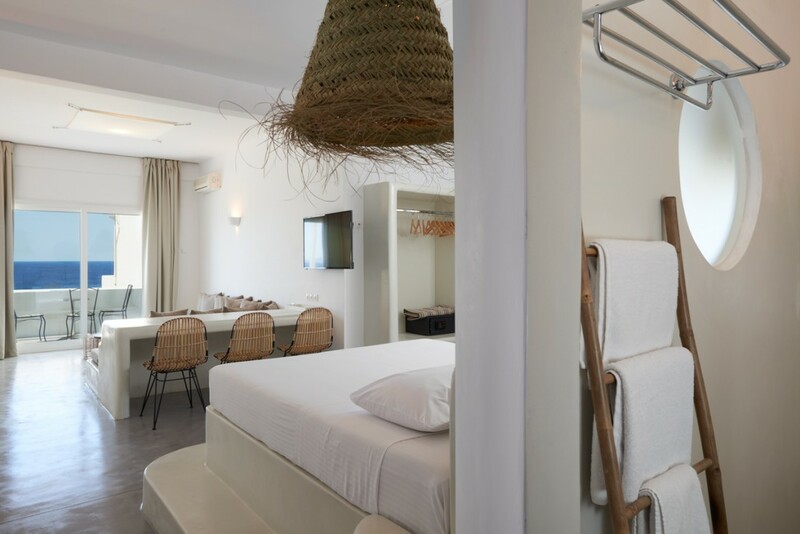 Both rooms are the size of double classics able to accommodate up to 3 persons and 1 baby cot each. 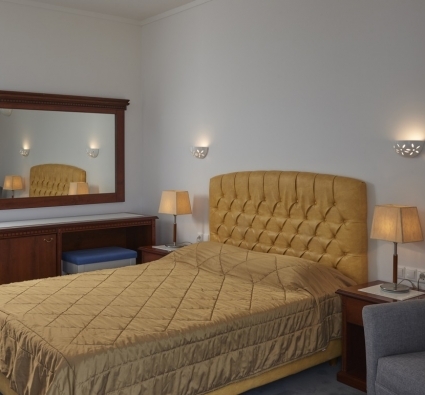 One of the rooms is furnished with a double bed whilst the other with two twin beds. 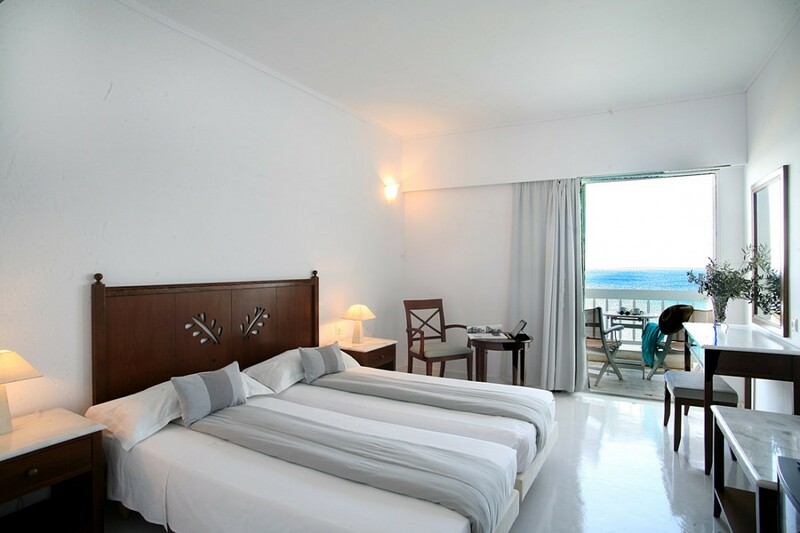 Both rooms are equipped with individual air conditioning units. 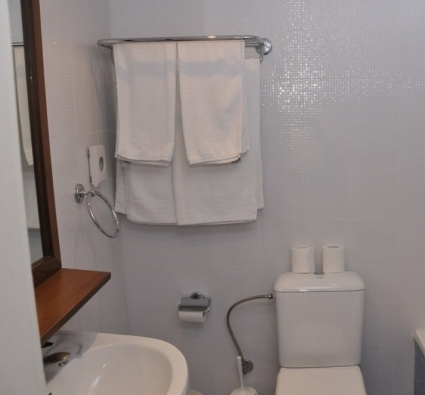 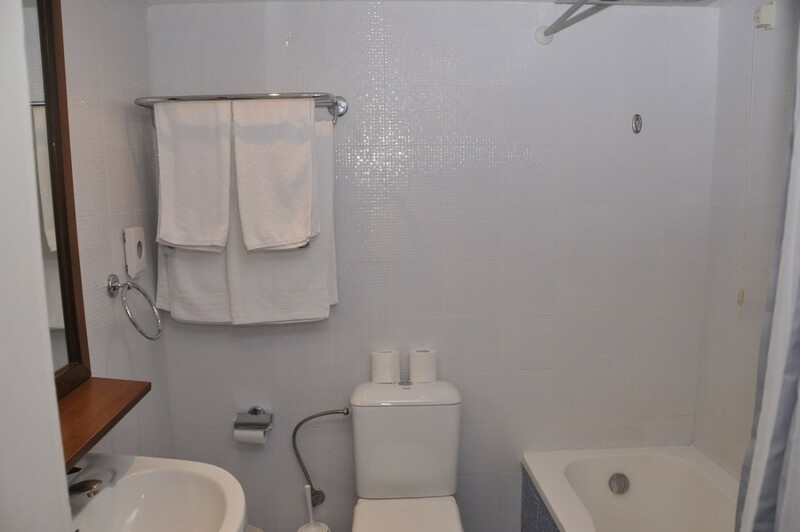 The bathroom is furnished with all standard amenities including a hair dryer. 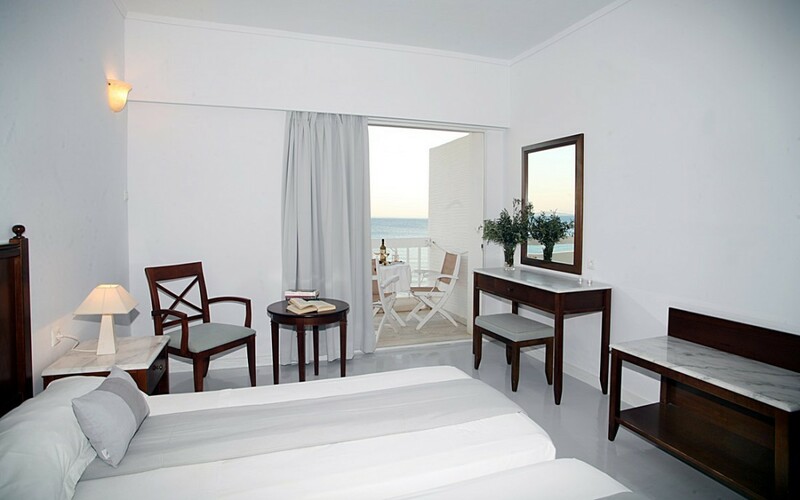 up to 6 / guests 38 ( 2 x 19) / sq.m. 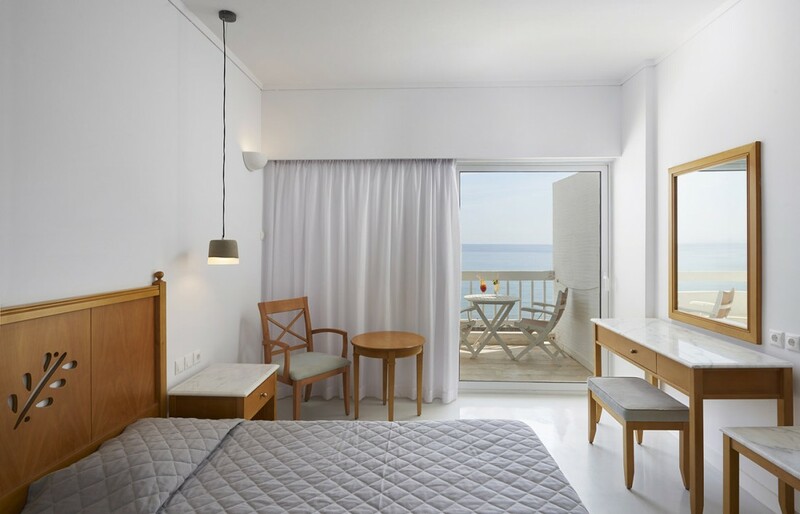 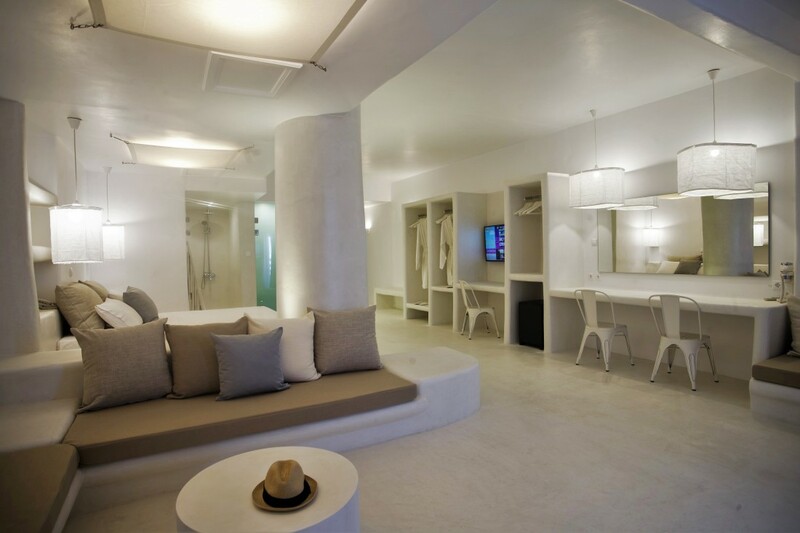 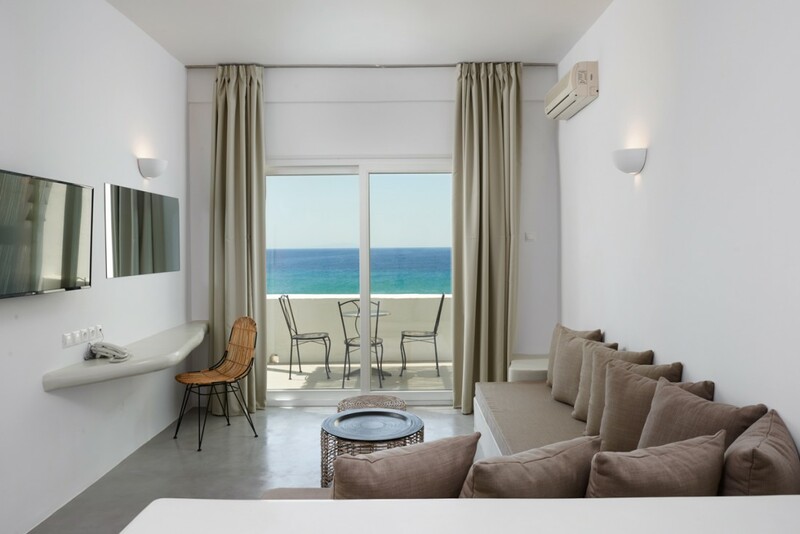 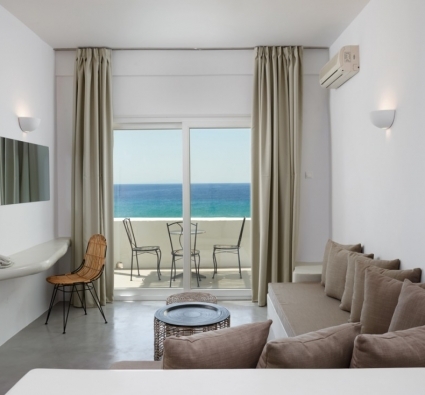 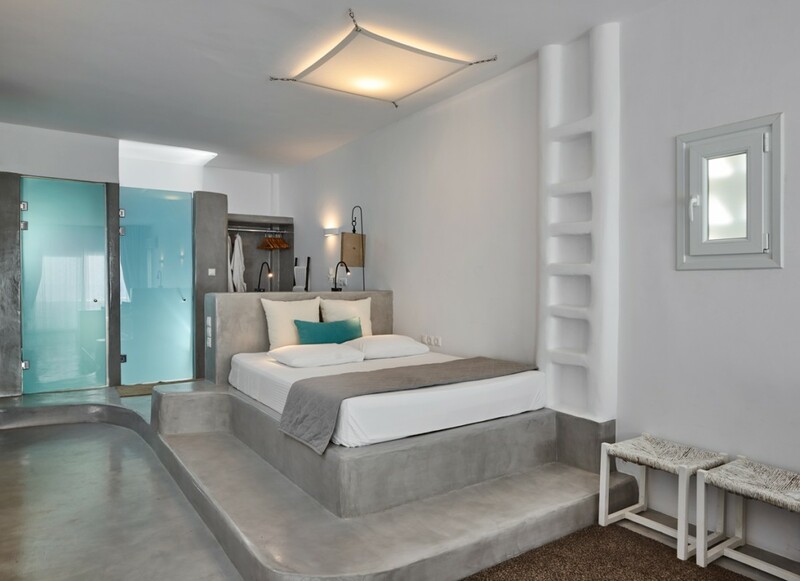 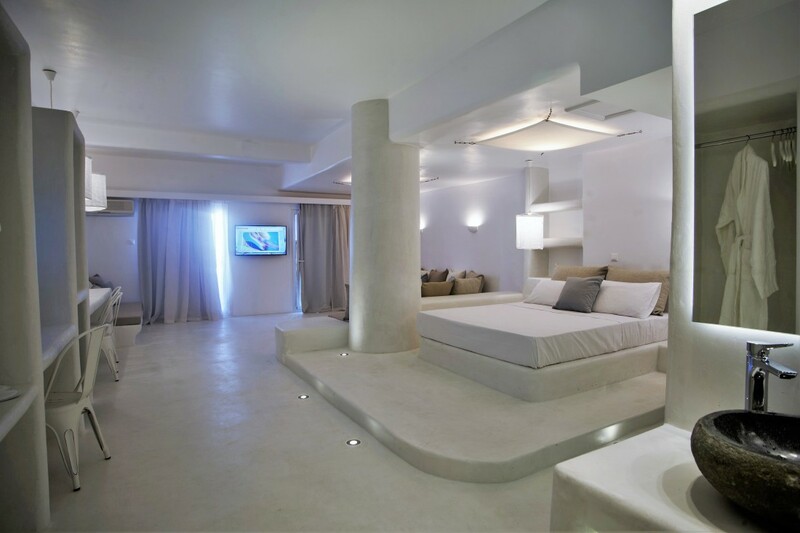 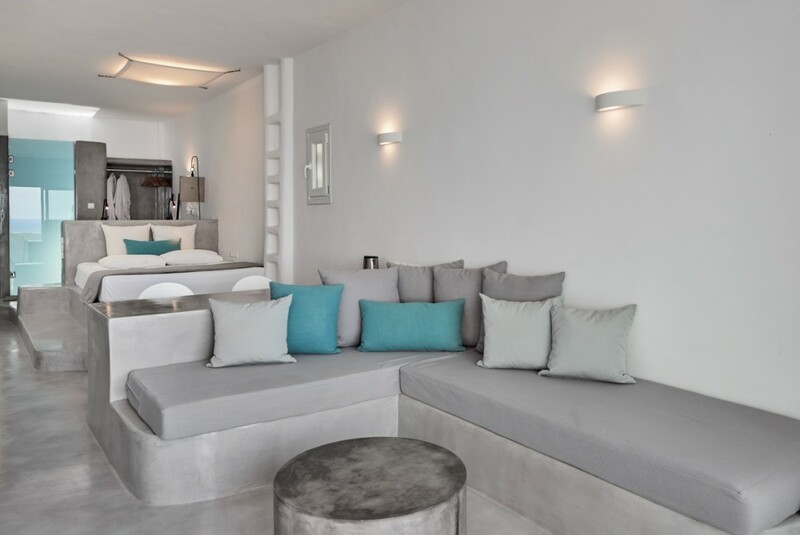 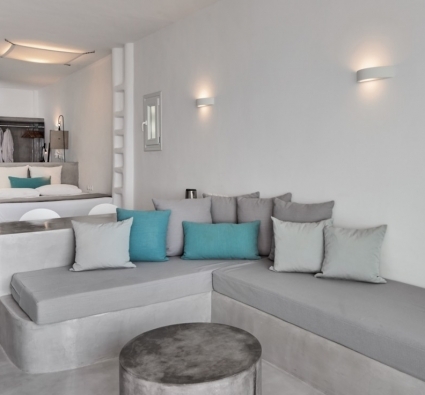 Our wholly renovated Aegean suites adhere to our new Aegean aesthetics which characterize all of our new rooms, white, built-in beds and sofas, laid back attitude and smooth surfaces and angles. 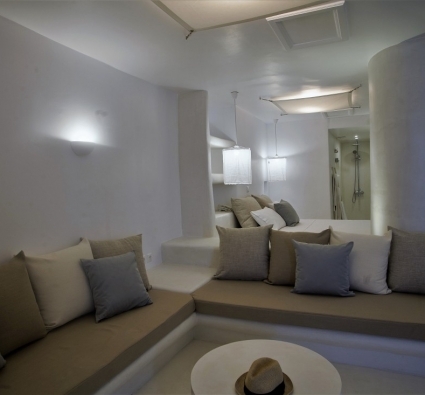 These suites have the ability to accommodate up to 2 children in the built-in sofas aside from the couple. 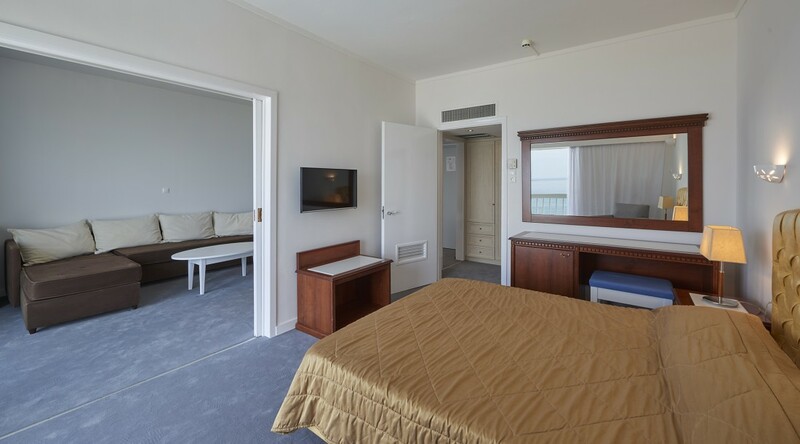 2 / guests / sq.m. 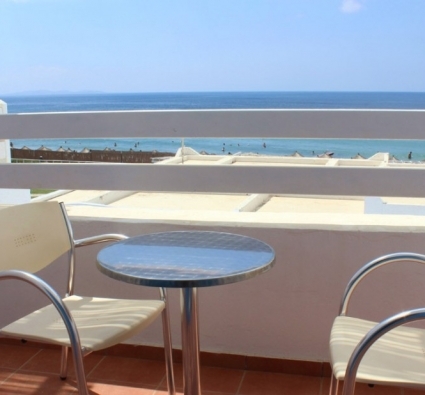 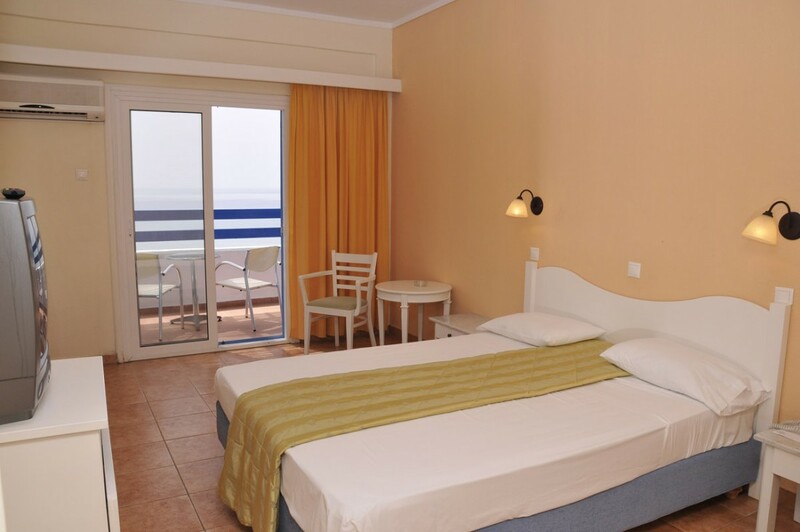 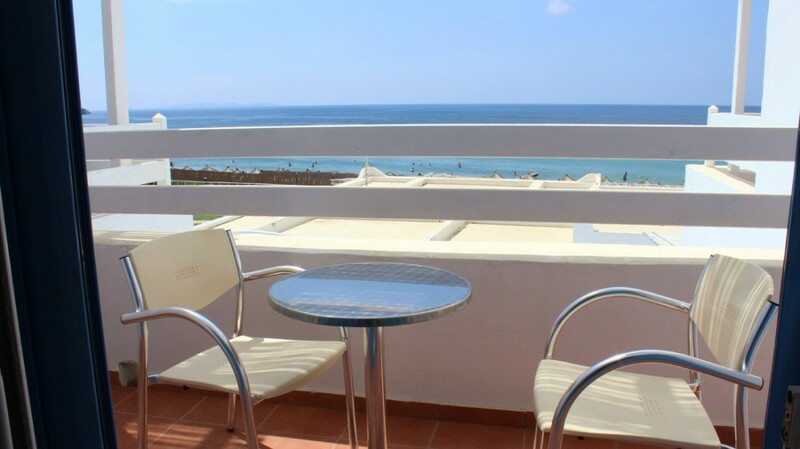 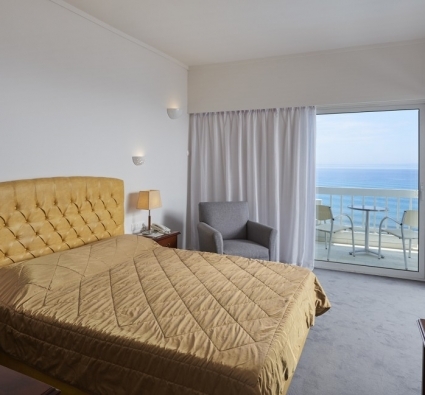 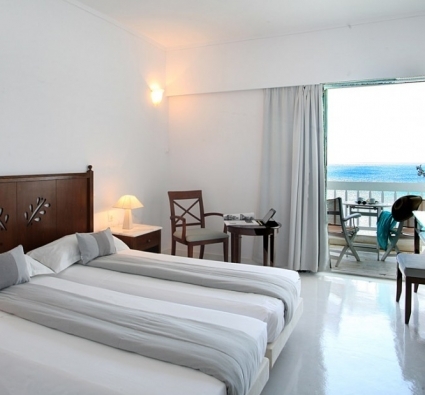 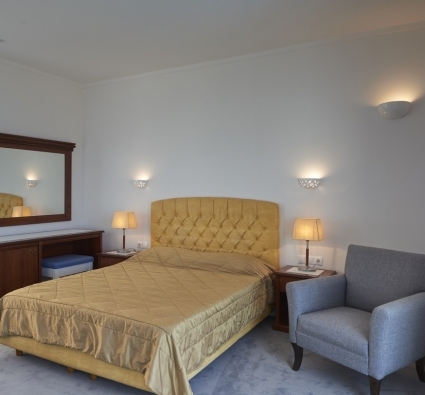 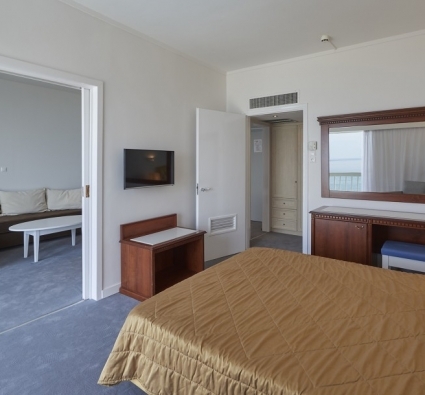 Superior double rooms in the main building with side view of the sea and the road, double bed or two twin beds. 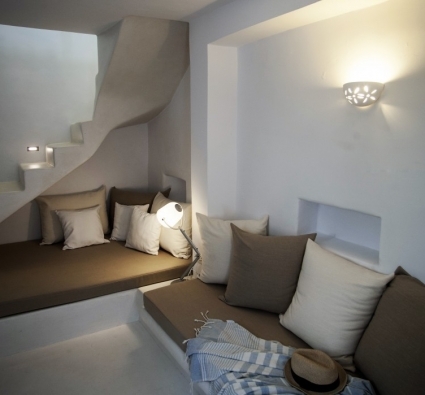 There is possibility of a third bed. 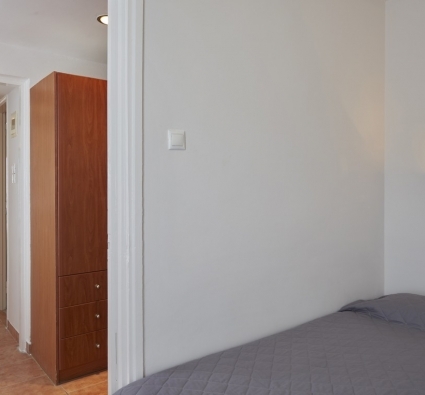 2 / guests 20 / sq.m.